Welcome to my blog and the bungalow it’s all about. I am sure some of the characters who live here will be making an appearance soon too. 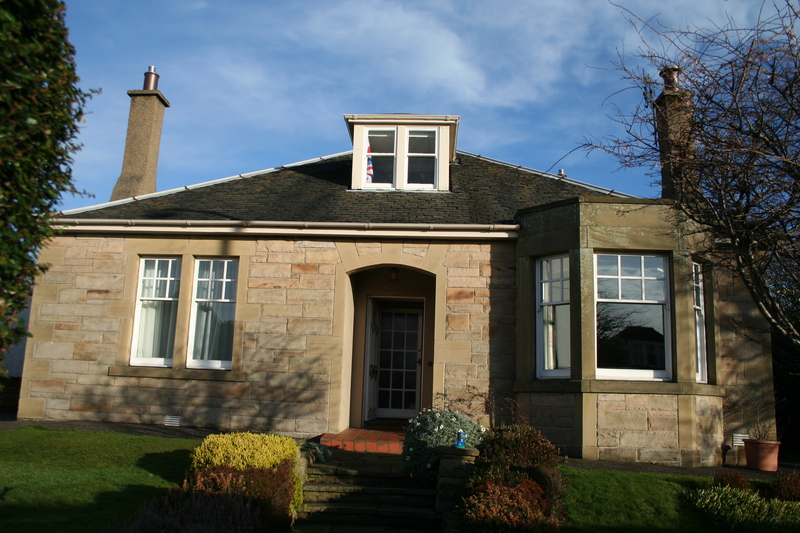 The bungalow in question is a traditional Scottish sandstone bungalow built in the mid 1930’s in Edinburgh. 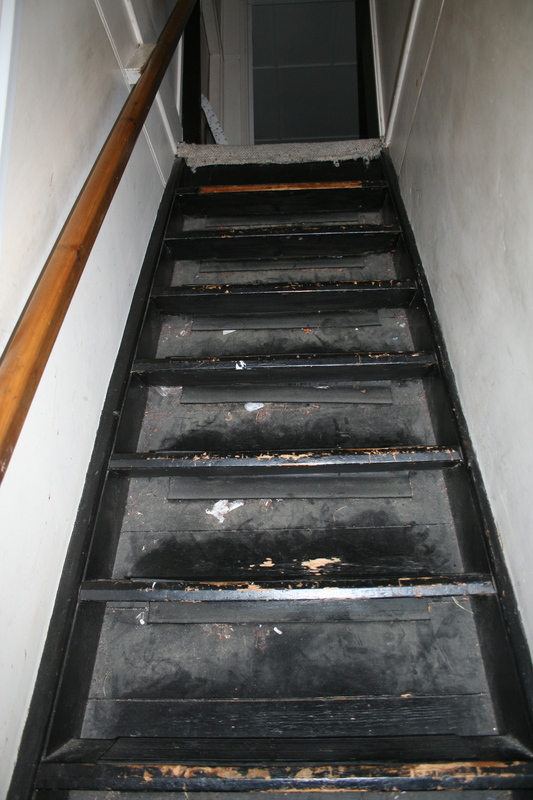 It is just about to have a ‘proper’ upstairs created and real stairs rather than the hazardous ones that we use at the moment. They really are very steep, I’m not sure if you can really see it clearly here. They are basically slats with rubber on them attached to a sloping wooden panel. I actually have a real fondness for the ‘secret stairs’ that resemble those of a ship, most of us have had a wee incident coming up or down over the years. They are in their very own cupboard with a door so nobody would know they were there. Visitors are often intrigued on there first visit and you can feel them wondering where everyone must sleep if only 2 rooms downstairs look like bedrooms. It’s boy zone up there at the moment, at ages 13 and 11 it has been fantastic for them, not much nagging about tidiness or suchlike. Not for long now, the bomb site must be tamed. I’ll leave it there for the time being – you will see the reality soon.